M&Ms go a long way. Give the promotional M&Ms Small Cube away and your name will be seen by all. Low prices and bulk discounts too. Compact, creative, and colourful. These are three words that can describe this item. 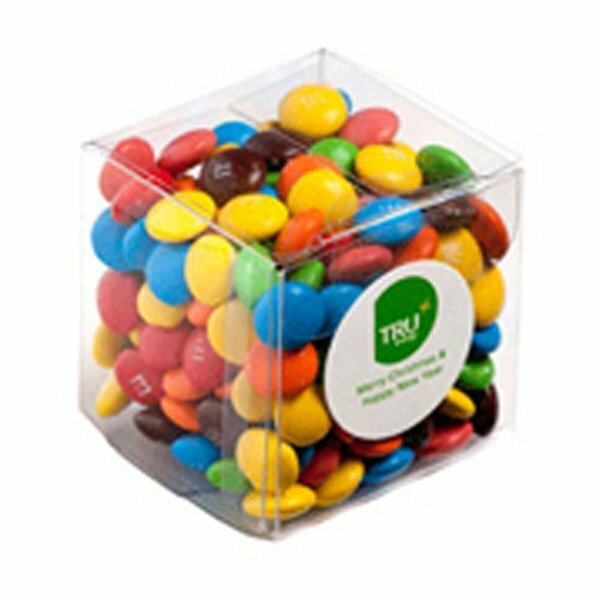 Our branded M&Ms Small Cube will surely fit your need for a corporate giveaway. The vibrant little chocolate candies are sure to spark a festive feeling among any person who receives this item as a gift. You can definitely use this product to get the word out to potential customers about your company and promote your brand. Neatly packaged in a clear acetate cube, the promotional M&Ms Small Cube weighs 60 grams. The size of the cube is a proportional 40 mm in both width and height. The cube is filled with the multi-coloured M&M chocolates that everyone knows and loves, and is offered in the classic milk chocolate flavour with a hard candy shell. To give this product your company’s identifying marker, you can place a circular sticker on one of the sides of the cube. The sticker will be printed in full colour and will be 25 mm in diameter. Place your company’s logo, contact details and even the website right on the sticker to give easy access to potential customers. Make it your own with this distinct branding strategy and you’ll be creating a new buzz about your business. 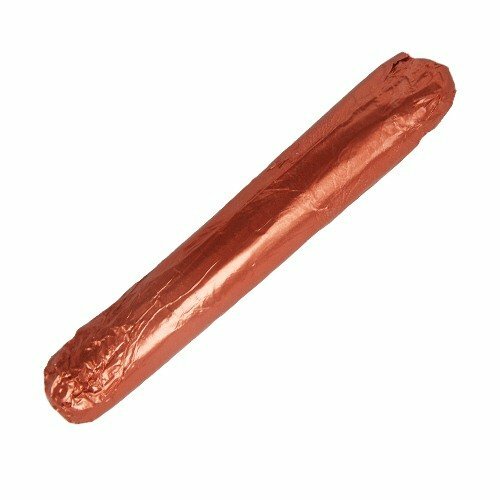 We have many more Chocolate giveaways in this confectionery website. Our promotional Chocolates are made to the highest quality so you’ll always be getting the best value for your money. 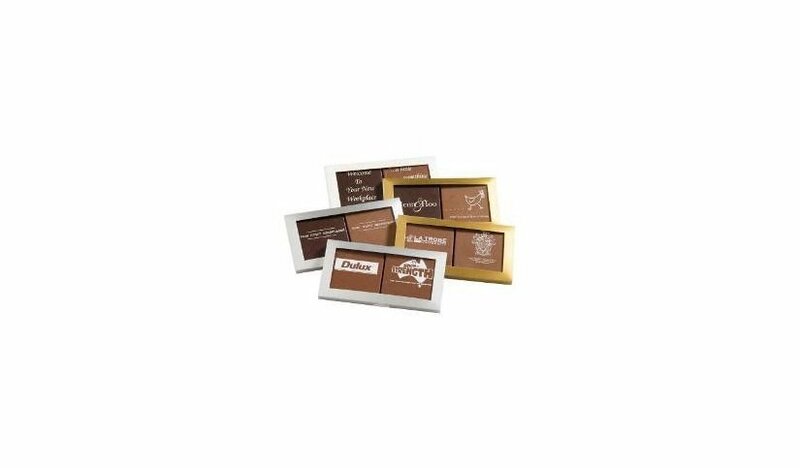 Do check out our line of branded Custom Molded Chocolates and you might find other interesting gift ideas for your upcoming events. Oh, in case you didn’t realise we also have a promotional balloon website. So why not consider browsing our printed metallic gold balloon range to compliment your edible treats for your upcoming celebration? When you are ready you can contact us through our chat application which is by the lower right side of this screen in case you have questions. Or you can also dial 1300 008 300. Our customer service team is ready to help you with your chocolate related questions so don’t hesitate to get in touch.